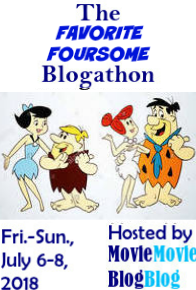 This post is part of the Shorts Blogathon, hosted by Fritzi at Movies Silently. Check out the other great posts HERE! When I chose La Jetée as my topic for the Shorts Blogathon, I thought, why not also cover another influential French short sci-fi film? Georges Méliès’ A Trip to the Moon (Le Voyage dans la Lune) is about as different film as you can find from La Jetée, yet its impact on the development of narrative filmmaking can’t be overstated. Georges Méliès was a French illusionist who took up filmmaking at its very infancy. He was one of the first to use narrative structure in filmmaking (rather than just recording everyday life). He was also a pioneer of special effects, discovering the “stop trick” method by accident. Amazingly prolific, he directed at least 500 films. Today, about 200 survive, but there’s no doubt his most famous is A Trip to the Moon, which he made in 1902. Today Chris Marker’s 1962 short film La Jetée (The Jetty) is best known as the inspiration for Terry Gilliam’s 1995 movie, 12 Monkeys (and the current TV show of the same name). It has also been cited as an influence on Audrey Niffenegger’s novel The Time Traveler’s Wife. I would hazard a guess that the writers of the TV show Lost also drew on it for one of their most famous episodes, The Constant. Even if you have seen/read any of the above, they will not prepare you for the experience of seeing this short, remarkable film.